We didn’t go anywhere for spring break. Mark worked, poor guy, while Owen and I toured a local art college, ate fried chicken and waffles at a famous soul food restaurant, saw Midnight Special, paid a visit to the pediatrician (6 feet, 132 pounds, a height-weight ratio I'd associate with war zones), searched in vain for copies of the first installment of Ta-Nehisi Coates’ Black Panther at three different comic book stores in three different Bay Area counties, acquired a youth bus pass at the transit center, bought our cats their first ever organic cat food, which they hate, and planted a vegetable garden. It was a good week. I’m sorry it’s over. As to cooking, Nigella continued to deliver delicious dishes with almost zero effort on my part. Her green minestrone (from Nigella Kitchen) is basic and tasty. Ditto her parsley pesto (Nigella Kitchen), which is like basil pesto, but milder. I served it on spaghetti and the whole pound was gone in about twenty minutes. I like to think Owen ate most of it, but fear he did not. 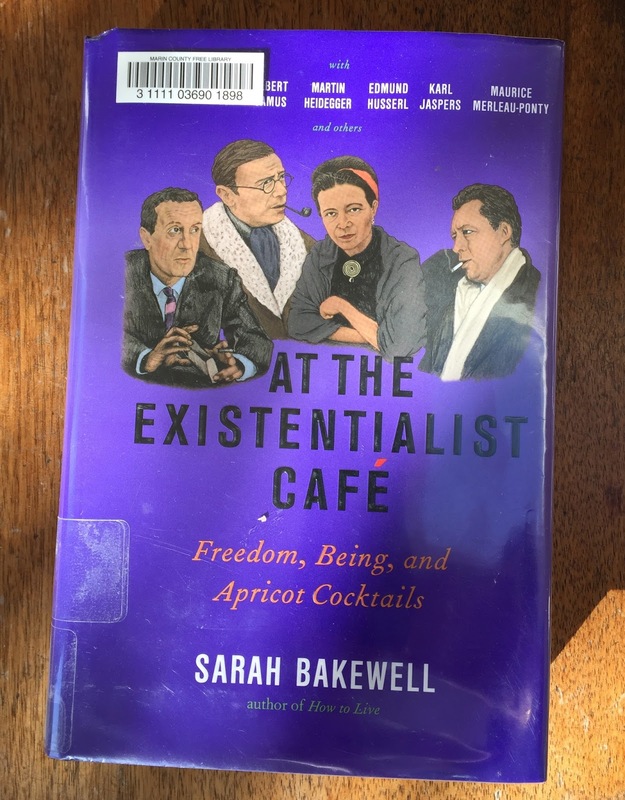 *In At the Existentialist Cafe, Sarah Bakewell sorts through an unwieldy mass of material -- personalities, politics, history, gossip, unintelligible German philosophy -- to recount the history of 20th century Existentialism in a way that anyone can read and understand. I came across an amazon.com review that described this excellent book as “glib,” which annoyed me so much that I actually replied. Sure, if you want to grasp all the nuances and complexities of Heidegger’s thought, go right ahead and grab a copy of Sein und Zeit. I wish you well. See you in thirty years. If not, try At the Existentialist Cafe. People seem to think it's easy to write about complicated subjects in a lively, accessible way for the common reader. I would guess it's much easier to write about complicated subjects in a cryptic way, for the expert. 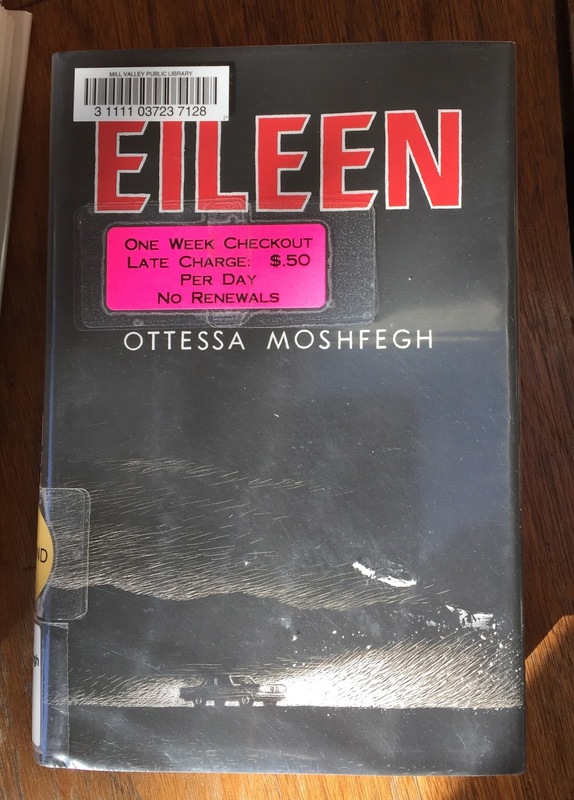 *Eileen, the narrator of Eileen, a disturbing, riveting novel that was nominated for some big awards last year, is a resentful, sexually repressed young sociopath with an eating disorder who shares a filthy house in a dismal New England town with her alcoholic father and works at the local prison for boys. Yep! Fun. Ottessa Moshfegh really “goes there” with her anti-heroine, which makes for some wonderfully dark, bracing reading. You don’t often meet characters this miserable and toxic and if you like that sort of thing, as I do, you will like this book very much. 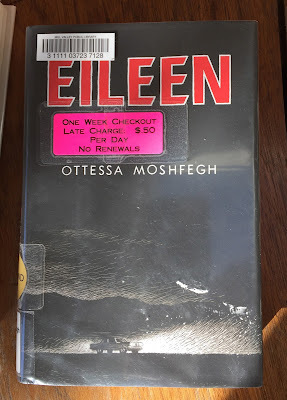 Eileen lets you know from the beginning that something big is going to happen to change her life and I couldn't wait to get to this thrillingly twisted event, whatever it might be. Alas Moshfegh let me down! Did she lose her nerve? The book falls apart towards the end. It's still impressive, but I can only half recommend it. *Hope Jahren’s memoir, Lab Girl, made me think about trees in a whole new way, which is to say, it made me think about trees. Short, enthralling chapters about tree life alternate with long chapters about Jahren’s human life, which has included bipolar episodes, sexist colleagues (she was banned from her own lab during her pregnancy), professional triumphs and travails, trips to collect plants and soils in the wilds of Ireland and the American South, her longstanding devotion to her eccentric lab partner, and, above all, her mad love of science. This book is uplifting, super-smart, incredibly well written, just delightful. I highly recommend it. 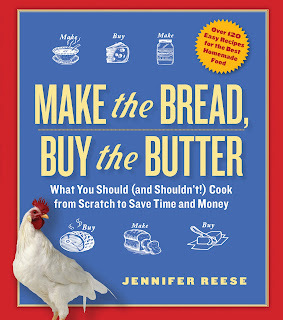 Cooking and books! Tops for me this week = Mum's Chicken Curry, Basmati Rice (I know you like Madhur Jaffrey's better - I'll try it next, got my copy of that book out last night), and Great-Grandma's Mango Chutney - all from Made in India. I also made Simple Tomato Sauce from Page 122 of Marcella's Italian Kitchen. I guess I've made her Tomato/Onion/Butter Sauce for so long, I never thought to try this one. 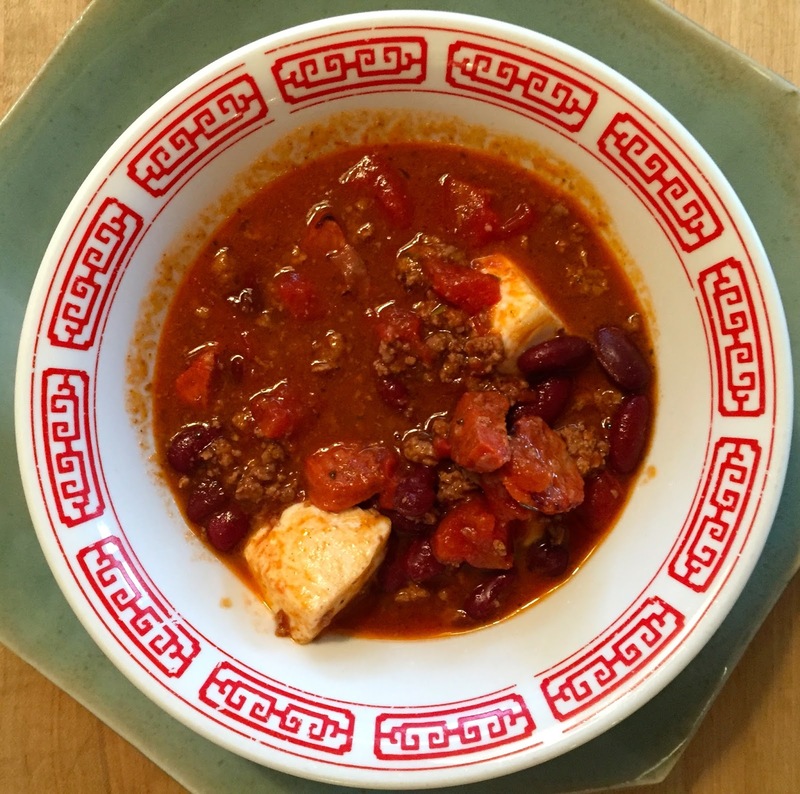 It was Ruth Roger's "favourite recipe of all time" in a January 29, 2006, article in The Guardian, and it's delicious. I listened to Spill Simmer Falter Wither by Sara Baume, a haunting, lyrical novel. I agree with Victoria - cooking and books, it doesn't get any better for me than that. I am always uplifted by your stories about what your family will eat. Any new dish is generally looked at with skepticism and a frisson of distaste. I made what I thought was a very good savory bread pudding with leftovers, cornbread, ham, cheese, peppers, herbs, and my husband said it was "on the line". That means on the line of being edible. He loves all those things separately, so go figure. He doesn't like unfamiliar presentations, and you would think I would remember that by now. I haven't read any great books lately, but I enjoyed Black River by S.M.Hulse. I am a sucker for debut novels, and this one did not disappoint. I will have to look for Lab Girl, it sounds right down my alley. Thanks for all the posting, Jennifer! 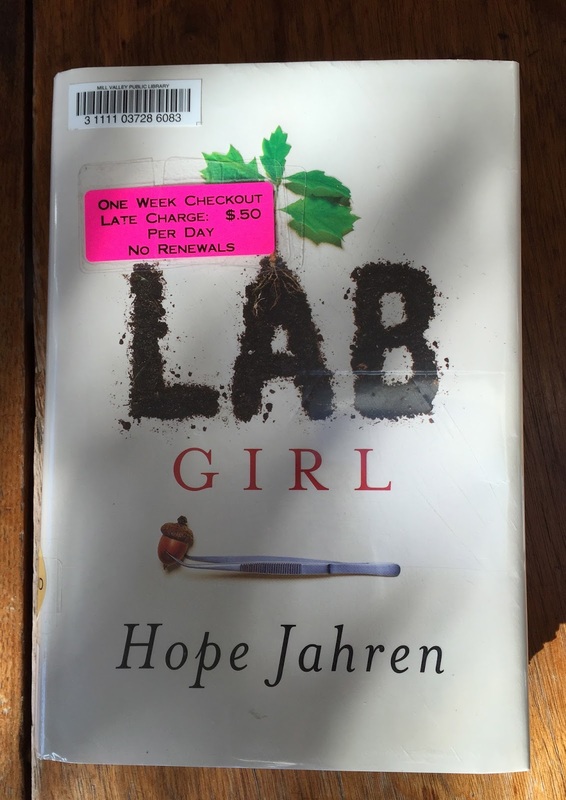 I'm reading Lab Girl right now. Half-way through (that would be the lab at Georgia Tech) and I don't want to do anything else but read this book. I agree with everything you said, and I have a new appreciation for soil. I keep returning to look at Eileen but ultimately never pick it up. You have persuaded me to leave it alone. I'm not a big fan of that kind of misery. I did pick up Helen Simonson's new book following some comments on another blog post and it does not disappoint, but it's my kind of read -- a sort of very smart comedy of manners that isn't showy about its wit or savvy, not unlike a more intelligent/less frivolous/less soap-operatic Downton Abbey. For me the reason to eat chili is all the stuff you get to put on top, so I'll definitely be trying the addition of chunky cheese. Right up my alley. I'm anxiously awaiting my copy of the new Helen Simonson. I absolutely adored Major Pettigrew! assignment help, you will be able to accept a close acquisitive on what are the best methods and practices of speaking English accurately and efficiently. At the Existentialist Café, by Sarah Bakewell,is a very readable history of existentialism as a lived philosophy, with clear accounts of the philosophy,(except when the philosophers’ statements are incomprehensible,and then Bakewell tells you that. The philosophy is intertwined, as it must be, with the stories of their lives and their personal relations with each other. The book is frequently very funny. It’s also sad, tragic, and infuriating by turns, as well as inspiring the reader both to take the life of the mind seriously and to live well. When will finals be over? I need new posts! Broadcast the given intent to all interested BroadcastReceivers, delivering them one at a time to allow more preferred receivers to consume the broadcast before it is delivered to less preferred receivers. This place was very comfortable. Restrooms were decent. Coming here with my friends was an amazing experience. This is my favorite event venue Chicago now, because of its excellent food, perfect lighting, vibrant atmosphere and great ventilation.